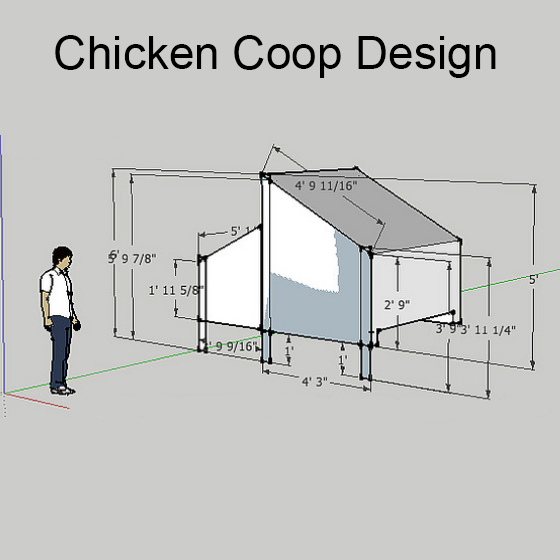 We often get asked how to build a chicken coop, so in this posting we'll cover some design elements we think are worth incorporating into your own design. 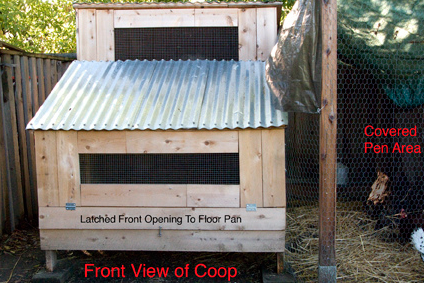 The coop shown in the posting is one we built several years ago and has stood up to the test of time. Shape & Windows - Our coop has a double roof line and screened window areas on the top and bottom of the coop. 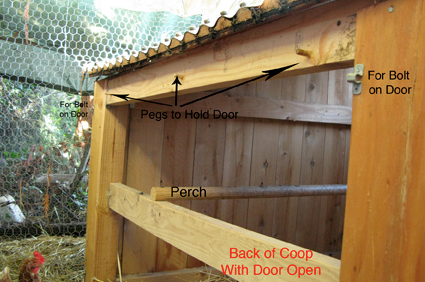 The overall shape of the coop and the placement of the windows is designed to create a high degree of air circulation. 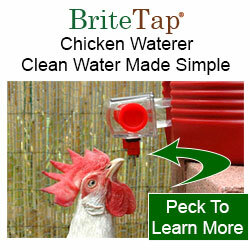 This is important because chickens release a large amounts of moisture in their breath. In a coop without adequate ventilation, excessive moisture can can make the environment unhealthy for chickens. However, our coop is design to encourage air to circulates within the coop bringing fresh air in through the bottom window and moist stale air is driven out via the top window. Our coop is located in a relatively warm climate, so the screened windows are left completely open all year round. For folks in colder environments, we recommend adding a shutter over the window that allows you to partially close the windows in winter. We say partially close, because even in winter, you should remove excess moisture from the coop. Credit where credit is due... The overall shape shown here is take from the book Fresh Air Poultry Houses that was published in 1924. This book can still be purchased on Amazon. 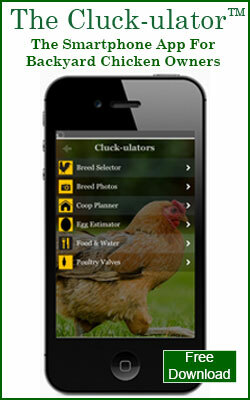 Cleaning Pan - This feature makes cleaning our coop a snap. The pan sits at the bottom of the coop and is normally covered in a layer of straw. 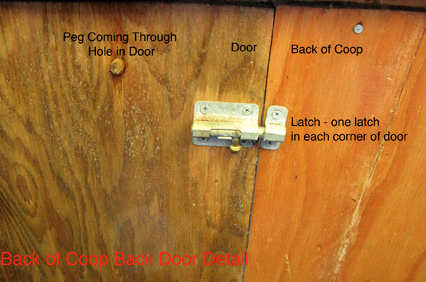 When the straw becomes dirty, we open a door located on the front of the coop (see photo) and pull out the pan. We then dump the soiled straw into our compost bin and replace the pan in the coop. If the pan is particularly dirty, we hose it down prior to returning to the coop. The "pan" is made from plastic material that is used as roofing material and looks very similar to corrugated metal roofing. 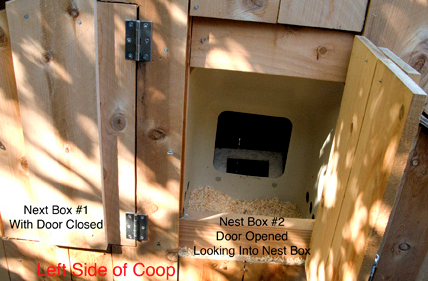 External Access to Nest Boxes - The back wall of each nest box is actually a door that can be opened from outside the coop. To gather eggs, just open the door and reach into the nest box. We purchased plastic nest boxes from an online supplier, but there's no reason you can't make these out of wood if you prefer to save a few dollars. 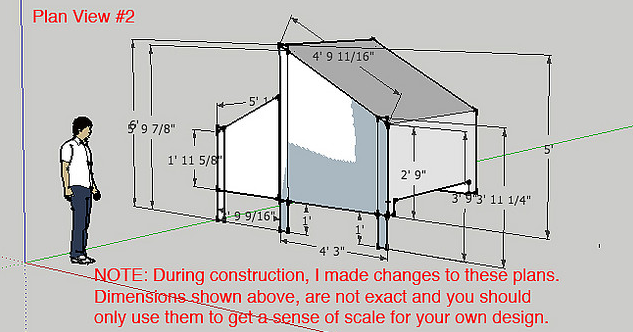 Ground Control - The coop itself is built 1 foot off the ground. 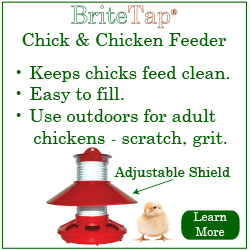 This keeps the chickens warmer in winter since the coldest air tends to settle closest to the earth. It also keeps the chickens environment drier since water can't seep into wooden floor boards. Big Back Door - The back side of our coop is essentially one giant door. When we want to add more bedding to the floor of the coop, we open the back door and toss it in. It also makes it easy to get inside the coop with a sprayer should we need to treat the coop for mites. The door hangs on several pegs and is held shut with metal latches. View of the back of the coop with the door removed. View of the back door hung on the pegs and the latch closed to lock the door in place. If your coop has some unique design features, please share them with other readers by posting a comment.